En äkta damastlöpare, vävd med en tunn fin linnetråd, i hellinne. Mönstrets oregelbundna rutor skapar en fantastisk lyster när varp och väft spelar med varandra i ljusets olika vinklar. Mönstret är inspirerat av kaktusblomman Opuntia "Nattens Drottning". 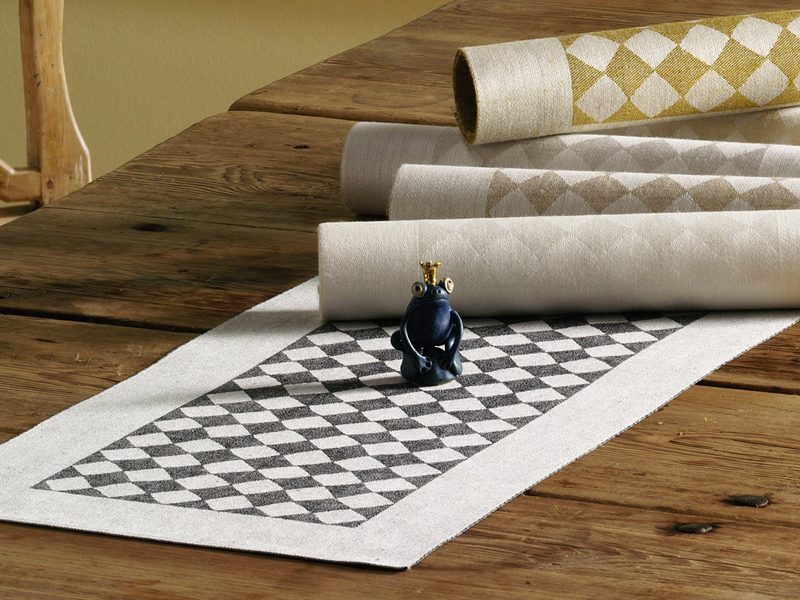 A true damask runner, woven with a thin fine linen thread, in the pure linen. The irregular squares of the pattern create a great luster when warp and weft play with each other in different angles of light. The pattern is inspired by the cactus flower Opuntia "The Queen of the Night".